Aww – that feeling when you receive (or have spoiled yourself with!) a beautiful bunch of flowers. They smell wonderful, look so fresh and brighten your home and mood. Are you keen to learn how to make flowers last longer at home though? Ludmilla from Pure Flowers can help you with these four tips on how to make your flowers last longer. At the end of the day, it’s all about quality. We hand pick the freshest blooms from a select group of trusted suppliers. Elen and I are actually the ones who go to the Sydney Flower Market to choose what ends up in our store. But no matter where you buy from, always investigate the flowers before you buy. Be sure to check the flower heads, stems and leaves. If they look bright and hydrated and are perky, not wilted, they will be a good quality and will have been cared for well from the grower to the markets to the store. One of my best tips is to care for the flowers from purchase to vase. Ask you florist to hold onto your bouquet if you still have shopping to do or are meeting a friend for coffee. It’s best not to leave them in the car or keep them out of water for too long. Ask the florist to wet pack them so they have lots of water to drink while they are being transported between the store and home. Once you have your flowers home (or have received a delivery), it’s vital that you care for them. As soon as the vase is ready fill it with room temperature tap water to half or three quarters full. Add the flower food that the florist gave to you following the instructions of the flower food sachet. 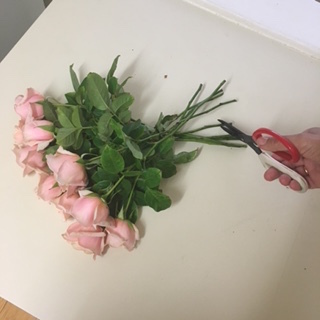 Unpack the flowers and recut the stems by approximately 1cm so that that the flowers can start to drink. 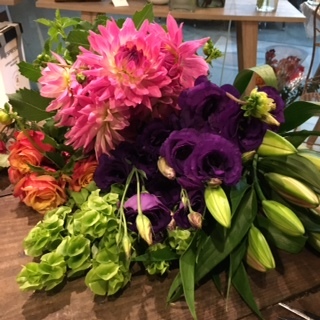 Use a sharp scissors or secateurs and cut the flowers at an angle so that they can take up as much water as possible.Ideally, clean your vase with a weak bleach solution before you head out to buy the flowers or as soon as you receive the surprise delivery. Place the flowers in the vase and take note of any leaves or foliage that end up under the water line. If needed, take the flowers back out and remove the leaves from the stems. Otherwise, the water gets dirty and the flowers won’t last as long. Every few days, change the water and cut 0.5-1cm from the bottom of the stems. And never leave your flowers near a heater in Winter or they’ll wilt faster than you can say ‘chrysanthemum’. We always suggest displaying your flowers in a cool spot and out of direct sunlight so that you can enjoy them for longer. These tips for how to make your flowers last longer will have a big impact on how long those lovely displays grace your home or office. If you’re giving a gift of flowers, why not share these tips via email or Facebook with the recipient? 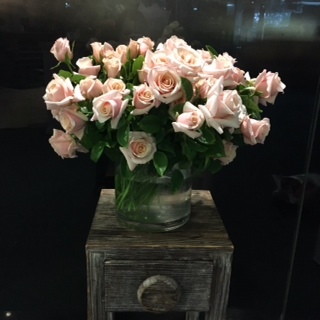 And if you would like to order flowers for home or a special friend, please let us help you send your flowers.